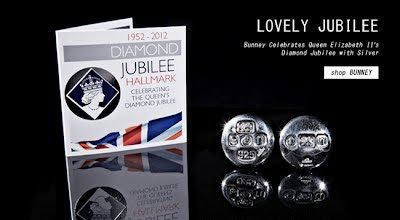 In celebration of the Diamond Jubilee of Queen Elizabeth II, British jeweller Andrew Bunney created a selection of Sterling silver pin badges. These commemorative designs are typical of the designer's fine work and are hallmarked by the UK Assay office as a guarantee of uncompromising quality. 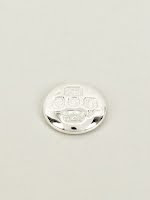 The Bunney Diamond Jubilee All-Over Hallmark Sterling Silver Pin Badge is made from 925 Sterling silver and features a series of traditionally handmarked stamps denoting the maker’s mark, traditional fineness mark, metal purity, as well as the Assay Office and the specially commissioned, commemorative hallmark. The badge fastens with a classic D-pin closure and is the perfect way to celebrate the jubilee in luxury style. 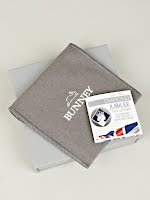 With this limited edition of simple, yet elegant, badges, Bunney have brought together 60 years of rule and over 600 years of craftsmanship, two things equally worth celebrating.